Saturday 1st of August, Invercargill New Zealand, upcoming Kiwi-Samoan heavyweight Joseph Parker (14-0-0) ranked 7th by the WBO fights WBO 13th ranked Australian heavyweight Bowie Tupou (25-3-0) in what is the highest ranked boxing match ever held in the country. Joseph Parker has turned up in New Zealand from his Las Vegas base in outstanding fettle, and while Parker has never turned up to a fight out of condition he has presented himself for this fight in the shape of his career. His muscularly defined physique leading fans to think they are about to see something special from the regions premiere big man. On the face value of Parker’s physical appearance it would appear he and coach Kevin Barry have gone to a whole new level in their pre-fight preparations. Not to be outdone in the aesthetic stakes Bowie Tupou at 33 years of age is ten years older than Parker, and he tipped the scales at an impressive looking 260 pounds. And while a sliver shorter than then the 193 centimetre Parker (6 foot 4) his thick set frame gives him a definitive weight advantage over Parker who weighed in at 235 pounds. However that weight advantage could be rendered redundant as Parker’s jab, footwork, hand speed and hand-eye afford him many more options as a boxer. Hall of famer Jeff Fenech now coaching Tupou knows Parker is the superior boxer, that trying to box with Parker is fighting the fight on his terms, to his strengths. That is not the path team Tupou are looking to go down given Tupou’s last two losses were against boxer-movers in Malik Scott and Bryant Jennings. Commentary out of Team Tupou, predominantly by way of Fenech, is that they are looking to brawl with Parker in turning this fight into a gung-ho shoot from hip throw down. Fenech stated ‘Bowie is fighting for his career’. At Tupou’s age with three losses on his record he simply cannot afford another loss. There will be a degree of desperation in his wanting to prolong his career in a meaningful way in trying to pull off an upset win over Parker. Desperations causes men to dig a little deeper, try a little harder. Tupou in trying to draw Parker into a brawl is looking to shorten up the real estate between the two in increasing his chances of landing a good night nurse big shot. Parker early in his career was prone to a brawl. A couple of years back he fought fellow Samoan Afa Tatupu in what was a hammer and tongs throw down that looked more back alley brawl than boxing match. The crowd in attendance loved it while it lasted (me included), Parker looked to be revelling in it. But Coach Kevin Barry way to wise for that shenanigan’s was not in the cheering squad, chastising his star turn for abandoning boxing for brawling. Parker’s boxing evolution since that fight has being immeasurable, Barry having drilled into his star turn his philosophy on the Sweet Science ‘hit and not get hit’ and that coaching ethos will be a big determinant on tonight’s main event. Parker will not offer Tupou any complicity in accommodating a brawl, the stand and deliver style of fight he once brought into is no longer on the table under Barry’s sustained tutelage. Instead he’ll be playing Matador in utilizing his superior skills in controlling the ring real estate in not letting Tupou into the pocket, while working off of his jab to set up his right hand in breaking Tupou down piece by piece in what will be an exciting fight for as long as it lasts. My pick – Parker with his better boxing instincts controlling the fight with his jab in moving Tupou around while executing his full shot selection. Parker to end this fight before the 6th round. Could be much earlier. Next boxing news: Garcia vs. Malignaggi: Can the “Magic Man” pull a trick out of his hat to upset Danny Garcia? 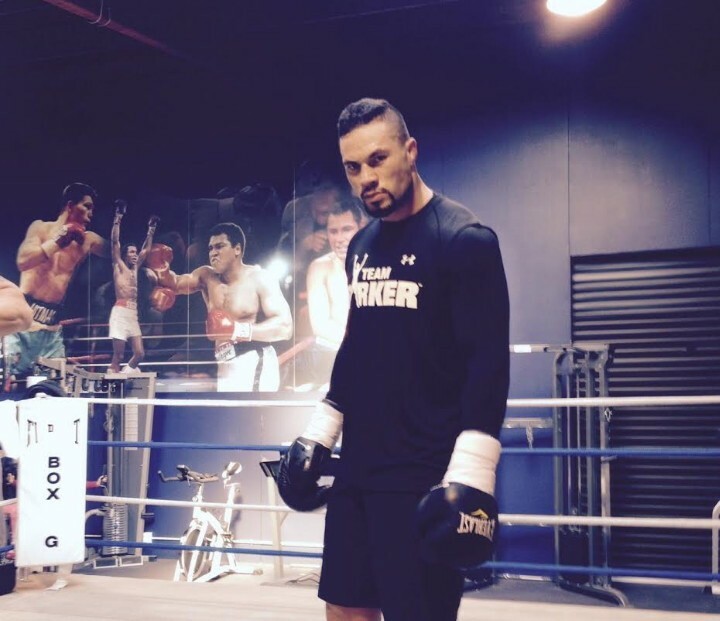 You are here: Home / Boxing News / Best Joseph Parker yet?